UNESCO has declared 10 World Heritage Sites are located in Nepal including seven in Kathmandu valley, Sagarmatha National Park, Chitwan National Park and Lumbini, Birthplace of Lord Buddha. Major monument zones in the Kathmandu Valley are Swoyambhunath, Boudhanath Stupa, Bhaktapur Durbar Square, Changunarayan, Pashupatinath, Kathmandu Durbar Square and Patan Durbar Square. The heritage sites have been nominated based on their cultural and natural value. Be a part of an amazing experience; visit architecturally and culturally rich heritage sites in Kathmandu Valley and Lumbini, the birthplace of the Buddha; or get a glimpse of the exotic flora and fauna of Nepal's Himalayas in Sagarmatha or the Tarai in Chitwan. Whether you are a nature lover or a culture enthusiast, there's something for everybody here. Meet us at the airport, transfer to Hotel. 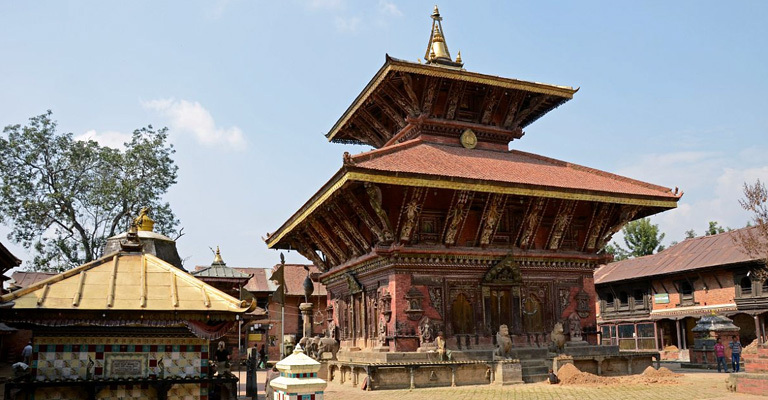 Visit Kathmandu Durbar Square, Swyambhunath Stupa and Patan Durbar Square. Visit Bhaktapur Durbar Square and Ghangunarayan. Early morning Everest (Sagarmatha) scenic mountain flight and visit Pashupatinath Temple and Boudhanath Stupa. Drive to Lumbini (approx. 6/7 hours drive). Rest. Sightseeing tour of Lumbini, The birthplace of Lord Buddha. Drive to Chitwan. Afternoon, Tharu Cultural tour, village walk etc. Full day in Chitwan including Elephant back safari, canoe ride, visit elephant breeding center, bird watching etc..
Scenic drive back to Kathmandu. Afternoon, rest. Visit Kathmandu Durbar Square, the place of the Malla and then the Shah Kings of Nepal, visiting Kumari Temple, house of the virgin goddess, visiting Swoyambhunath, a stupa on the top of hill - from here you can overlook the scenery of Kathmandu, Visiting Patan city, the second largest town in the valley, Krishna Mandir, Golden Temple etc. Visit Bhaktapur's Dubar Square featuring the Victorian illustrations style with temples and temples complex. And visit Changunarayan temple, The oldest temples of Nepal, which according to legends is said to have existed since 325 AD. Make a day’s trip where you can enjoy the rich archaeological relics and stone carvings, which are the oldest epigraphic to Nepal's history. Early morning pickup from Hotel and drive to Airport, Everest Scenic Mountain flight (optional tour). Back to Hotel. After breakfast, visit Pashupatinath Temple, one of the most important Hindu temple in Nepal. We keep going for walk to see the huge of stupa of Buddha, also known as Boudhanath, the largest stupa in Nepal. After breakfast drive to Lumbini. Rest. Overnight at Hotel. Sightseeing tour of Lumbini, The birthplace of Lord Buddha. Overnight at Hotel. After breakfast drive to Chitwan (approx. 3 hours drive). Afternoon, wildlife activities. Overnight at Hotel. After breakfast, full day Jungle Activities; Elephant Safari, Tharu Village Walk, Jungle Walk, Visit to Elephant Breeding Center, Canoe ride along the Rapti River, Bird Watching etc. After breakfast, Scenic drive back to Kathmandu (5 hours drive). Rest. Please contact us for your own tour date as we offer tour on any dates that is suitable for you. And also please note that this is tailor-made tour, you can add or reduce the tour program as per your time availability. This trip is suitable for all level of fitness, family, single, grouping, students and senior groups.